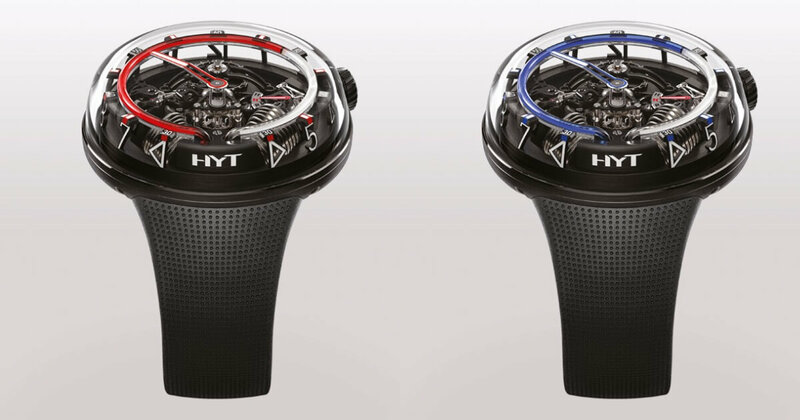 In these two new limited editions of the H20, the three-dimensional quality of the design acquires additional visual tension. 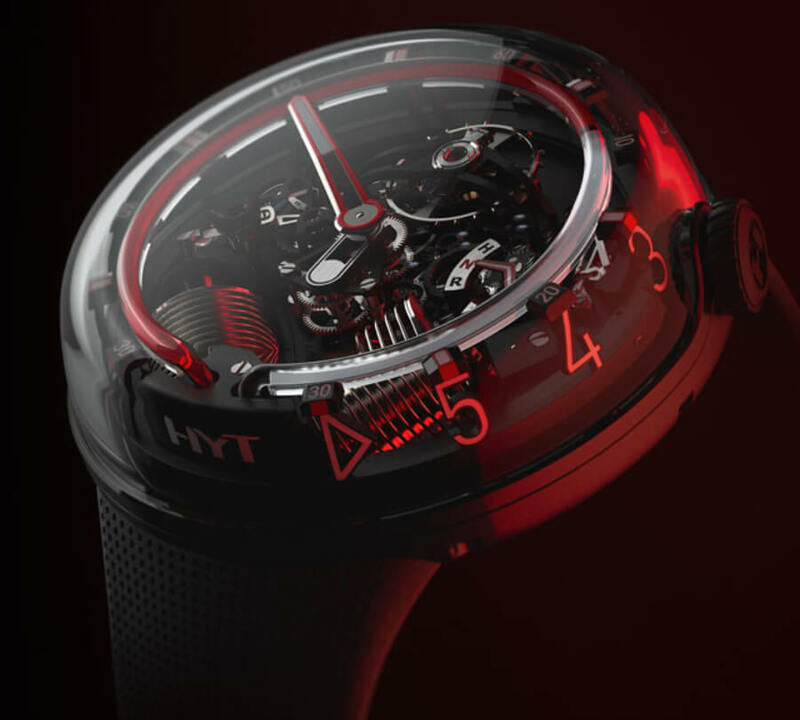 A striking contrast between black diamond-like carbon coating and the domed crystal hosting apparently floating digits. 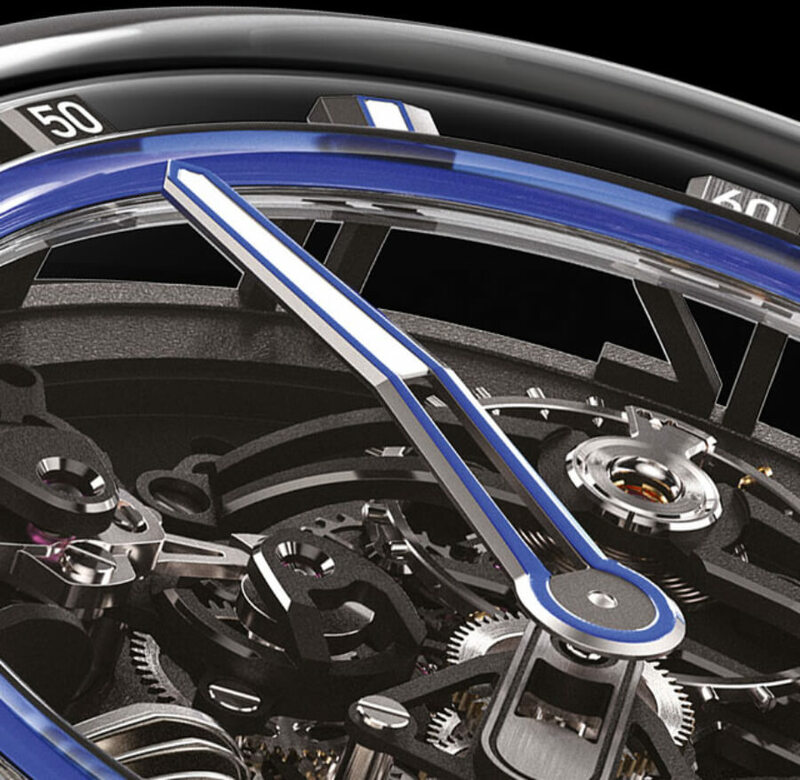 The whole presents an architectural entity, tempting the eye to take anew perspective on time – and watchmaking. As blue or red liquid trace the path of time’s recent journey, clear fluid beyond the meniscus in the capillary creates curiosity at what potentially lies ahead. Within the safe walls of the H20, a carefully curated, highly technical performance takes place. 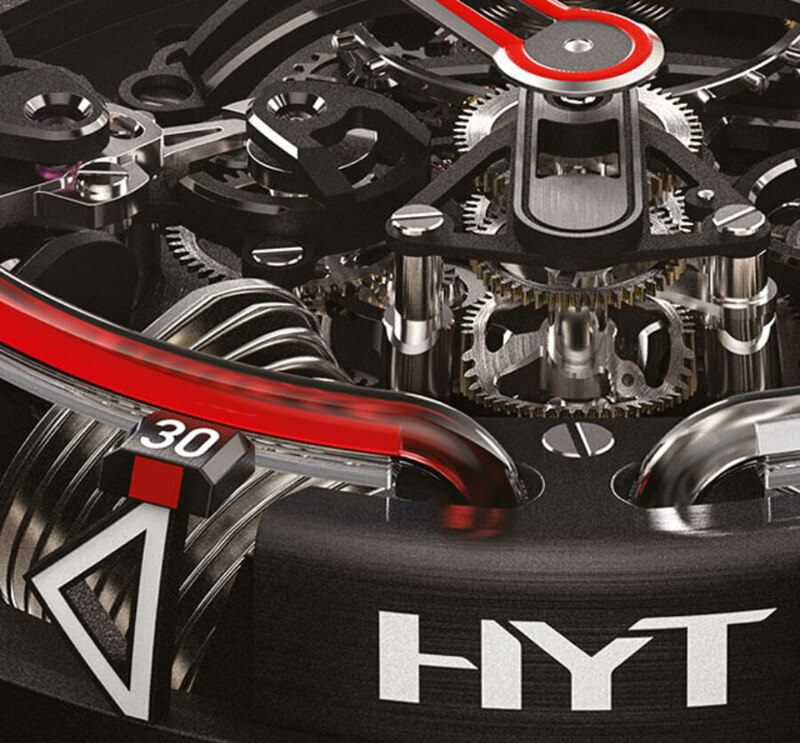 This co features a patented fluidic module and a mechanical movement exclusively developed for HYT by APRP. 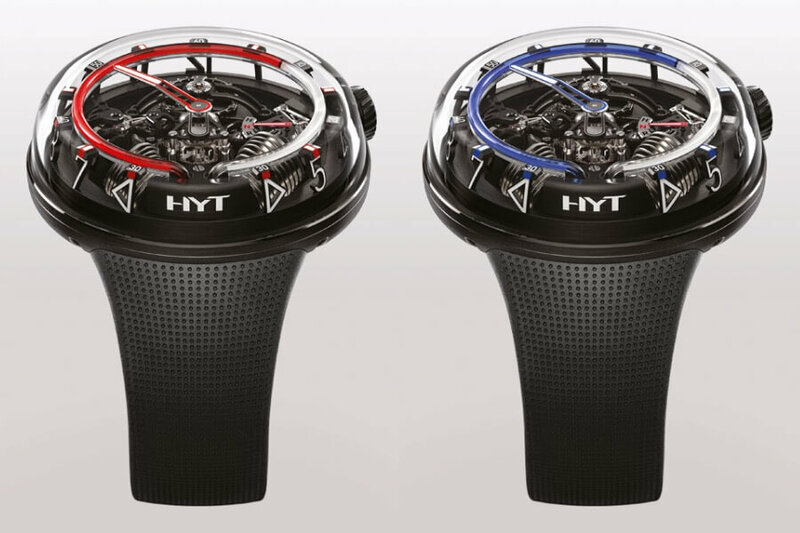 Seamless transmission between these two protagonists is assured by the conversion of rotation into linear motion via a cam-follower system. This timepiece represents the culmination of a quest to define and capture the essence of time. its conclusion is clear: the time is now – always. 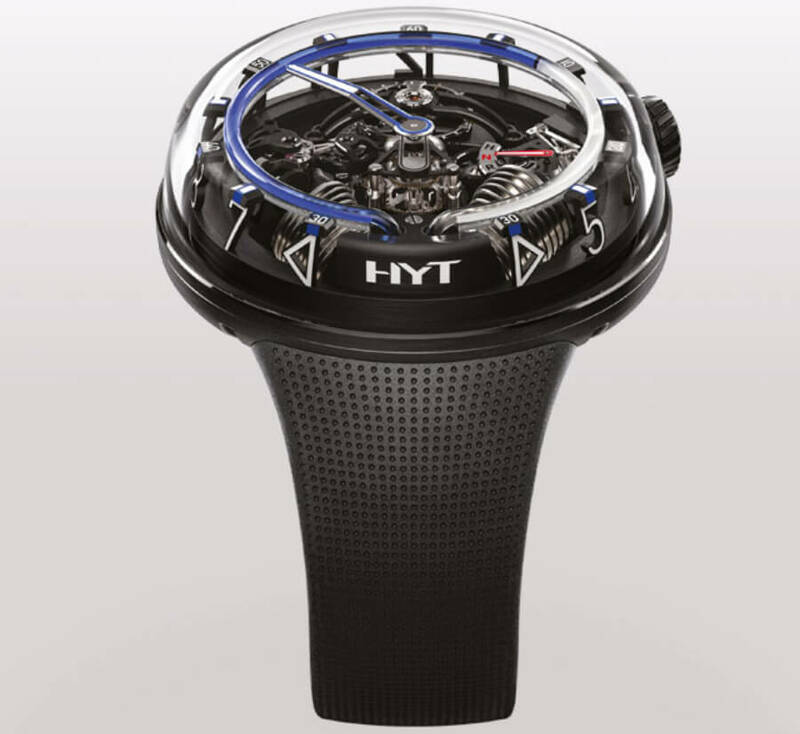 For more information visit HYT Online.